Special Price - Limited Time Offer! 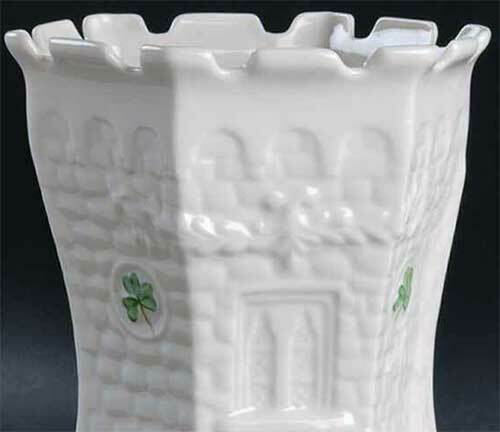 Belleek China Kilkenny Castle vase features hand painted shamrocks and embossed detailing. 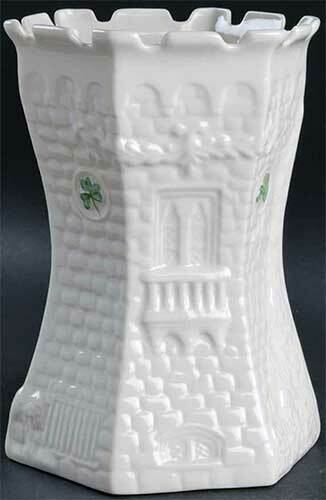 The Belleek Kilkenny Vase was introduced as the edition piece for 2008. It has a special back stamp along with a hidden shamrock. Find the hidden shamrock and the luck of the Irish will be with you forever. 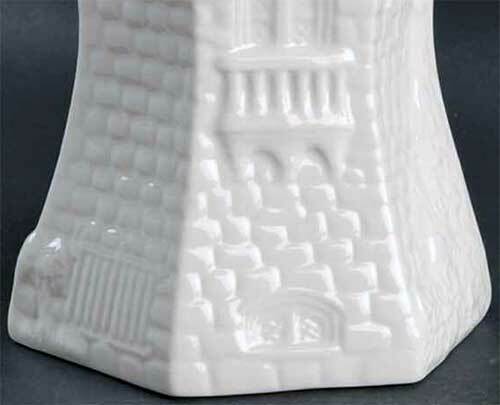 The Belleek Kilkenny Castle vase is enhanced with hand painted embossed features and sculptured ramparts. This Irish vase measures 6 1/2" tall x 4 1/2" wide at the rim and it is hand crafted of fine china in Belleek, Ireland.